Today is the Festa di Santa Lucia…and, now brace yourselves, I’m certainly still in a bit of shock: my Turkish husband is actually comprised of almost 35% Italian ancestry. He spit into one of those test tubes, sent it to an ancestry.com DNA lab, and…BAM! Seventeen years later, like something out of a fable from the Roman poet, Phaedrus: things are not what they seem! (Of course, thankfully no one’s rolling in flour, awaiting a tragic ending…but perhaps that’s for the eighteenth year of marriage…). 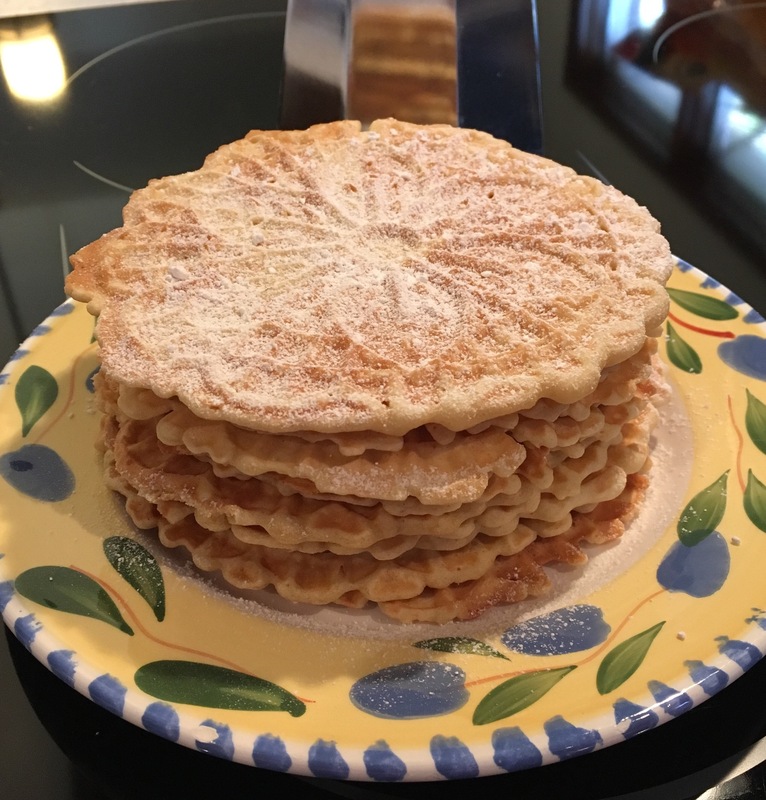 The best way to embrace this unexpected curve is to insert un po’ d’italiano into the blog today, turning temporarily from Turkish food to nibble one of my family’s per natale traditions: pizzelle making. Combining my insatiable appetite for cookies and my intense love affair with rum, these rum-and-orange-flavored pizzelle are a delicious variation from the anise mainstay – and Santa’s quite fond of them, too. Cool on wire racks, dust with powdered sugar for fun!